From urban middle-class to inner city ramshackle to rejuvenated showplace, such is the history of the harbor community of Baltimore, where, by the grace of God, Martini Lutheran Church continues to serve its congregation and the church-at-large in its second century of dedication to the work of the Lord. Martini was the third offspring of the Second German Evangelical Lutheran Church, St. Paul, Baltimore’s original confessional Lutheran congregation organized in 1835. 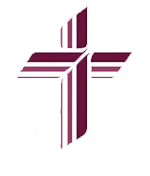 That church joined the Missouri Synod in 1848 under its second pastor, Rev. 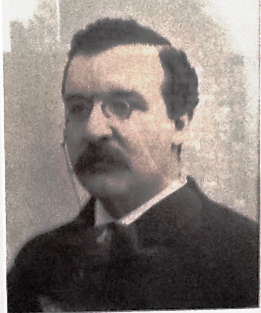 F. C. D. Wyneken. When members of this radiply growing mother church decided to disband to form three neighborhood congregations, a South Baltimore contingent formed Martini and dedicated its house of worship at Sharp and Henrietta Streets and installed its first pastor, Rev. Carl Frincke, on May 10, 1868. Through wars, depressions, and neighborhood decay, the building remained the home church for members eventually scattering throughout the city and the surrounding counties. In the middle 1970’s, it fell prey to condemnation procedures to make way for an expressway. 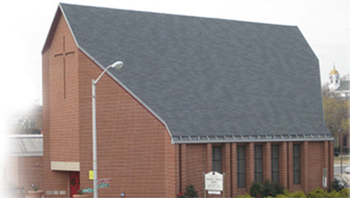 The congregation had nearly given up relocating in the South Baltimore area, when through prayer for God’s guidance and intercession by Mayor Donald Schaefer of Baltimore, a new site feasibly price, was made available just two blocks away from the original church. The new building was erected and dedicated November 6, 1977, with a number of treasured furnishings from the old building preserved. The church is now located on Hanover and Henrietta Streets. In over 140 years, the church has been served by only 8 pastors, the Reverends Carl Frincke, Dietrich Steffens, Edward Engelbert, Gerhardt Wagner, Immanuel Albrecht, Terry Greenwood, Donald Biggs and our present pastor, Elliott Robertson. Such illustrious names as Friedrich Wyneken, the great missionary orgainizer, and Dr. C. F. W. Walther, the first President of our Synod appear in congregational records. Former Pastor Engelbert in the early 1940’s, offered a prayer at the conclusion of a sermon based on Thessalonians 1:2-3, which is appropriate today as when delivered: “May God give this congregation grace to be and remain a true flock of Christ, so that its influence for good may stretch far and wide, working that which is pleasing to God.